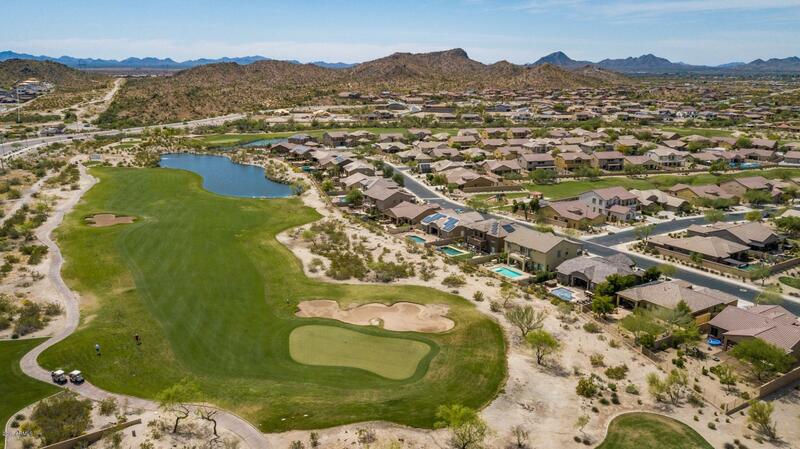 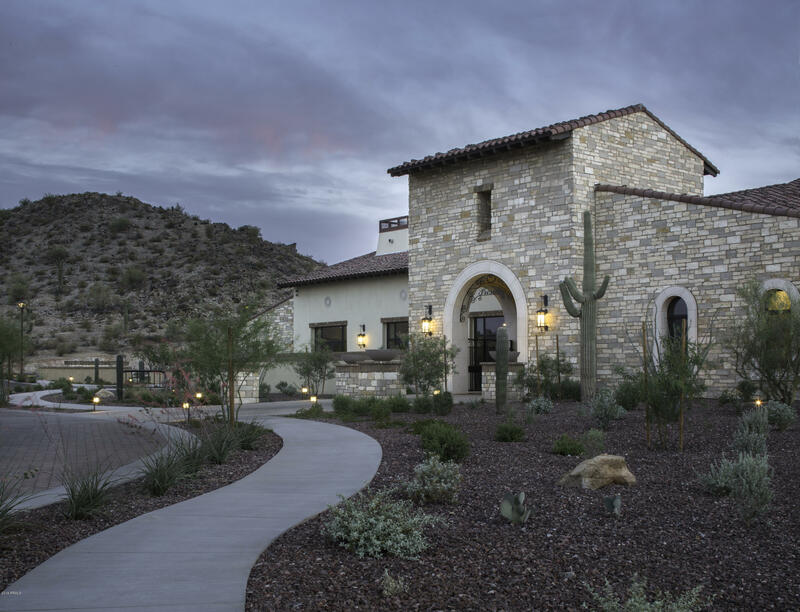 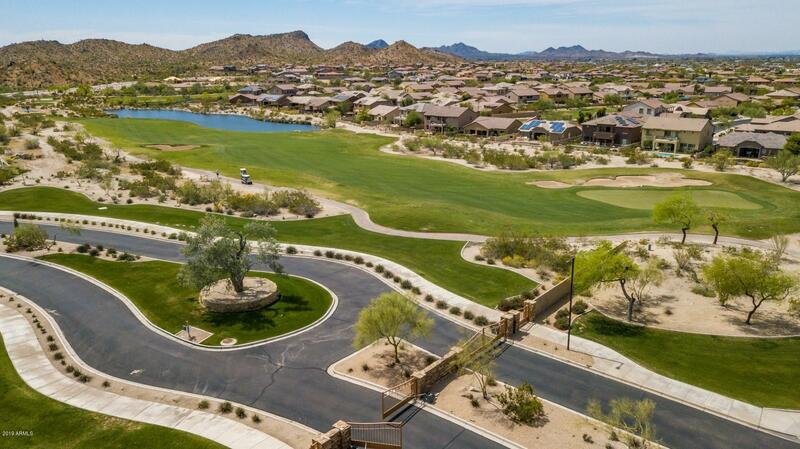 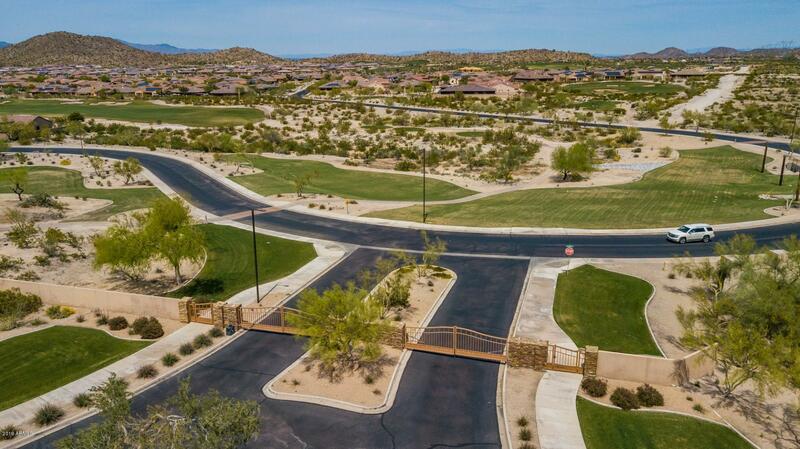 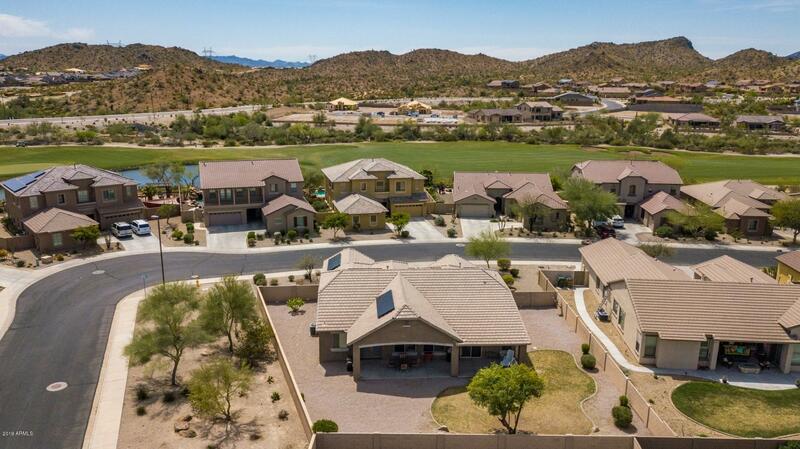 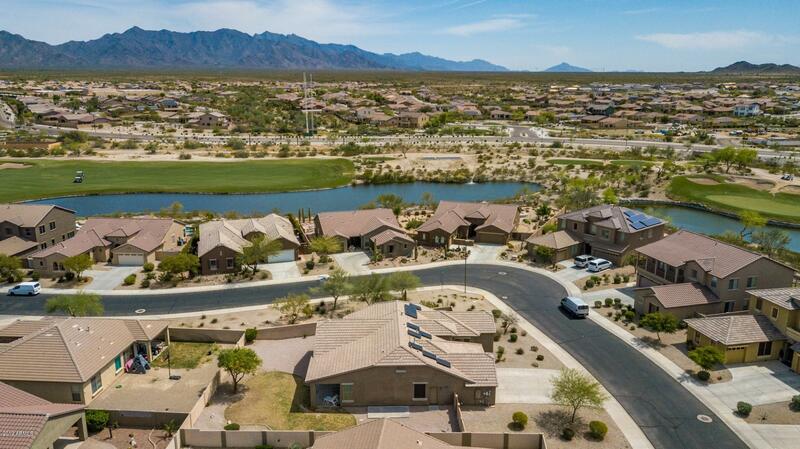 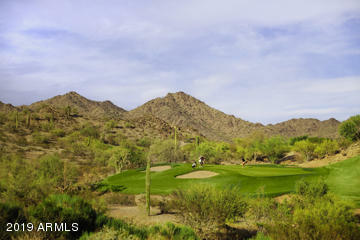 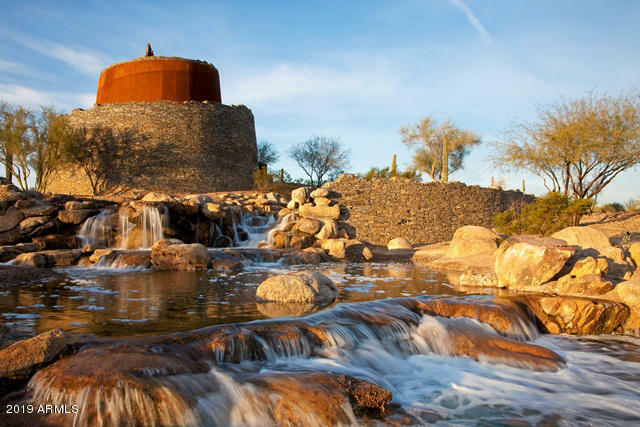 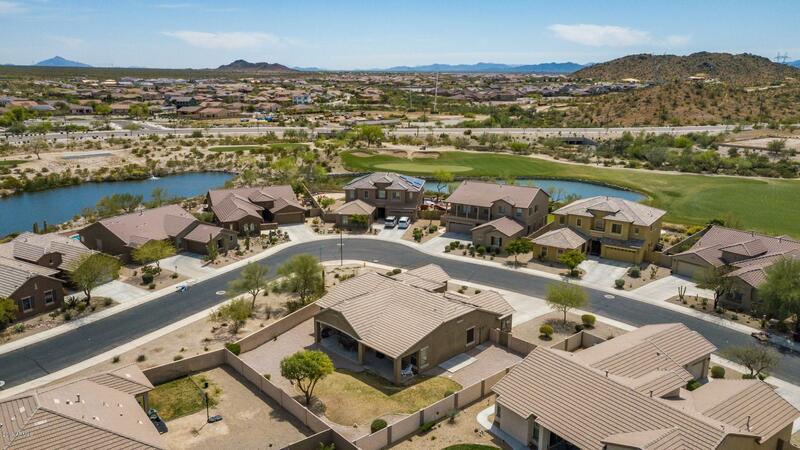 Generous corner lot located in a gated golf course community in Estrella Mountain Ranch! 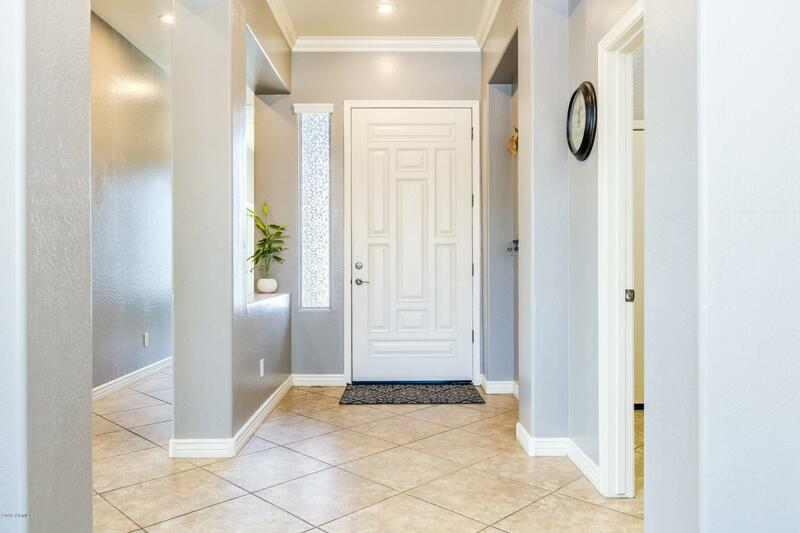 This home welcomes you to an oversized great room, 10' ceilings, 20'' tile flooring, 4'' baseboards, & a custom paint palette. 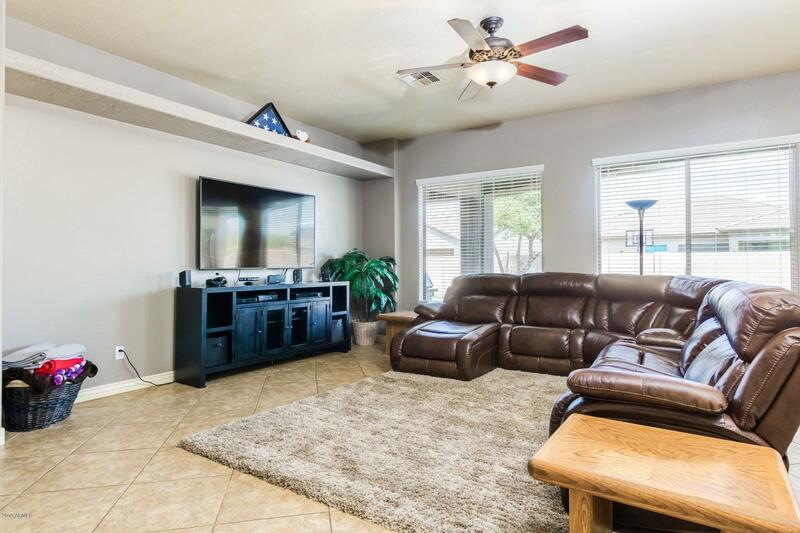 Split master floorpan w/ 3 spacious bedrooms + den/office. 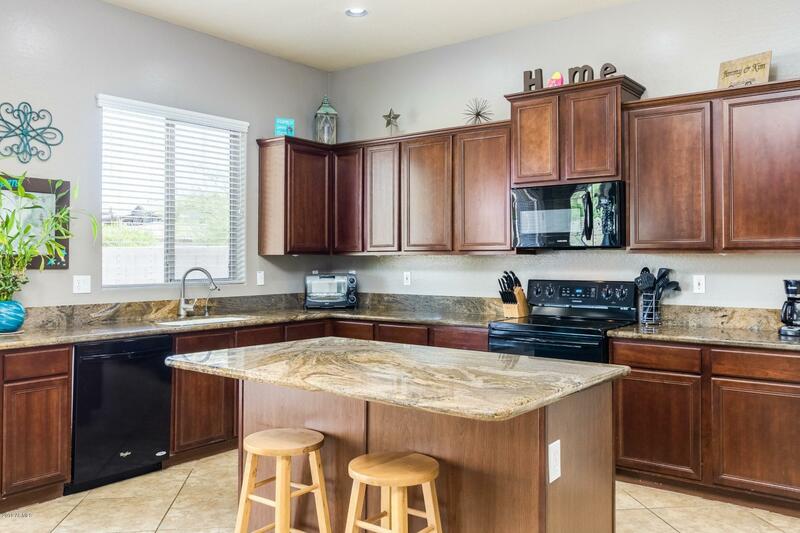 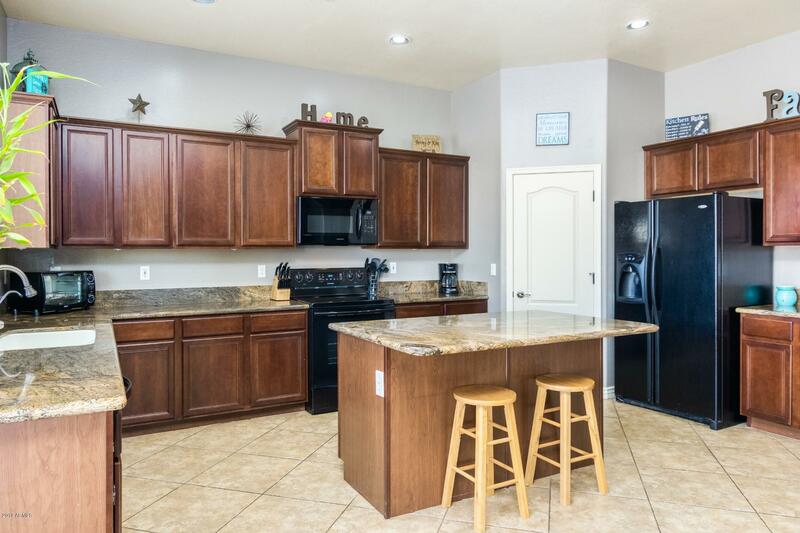 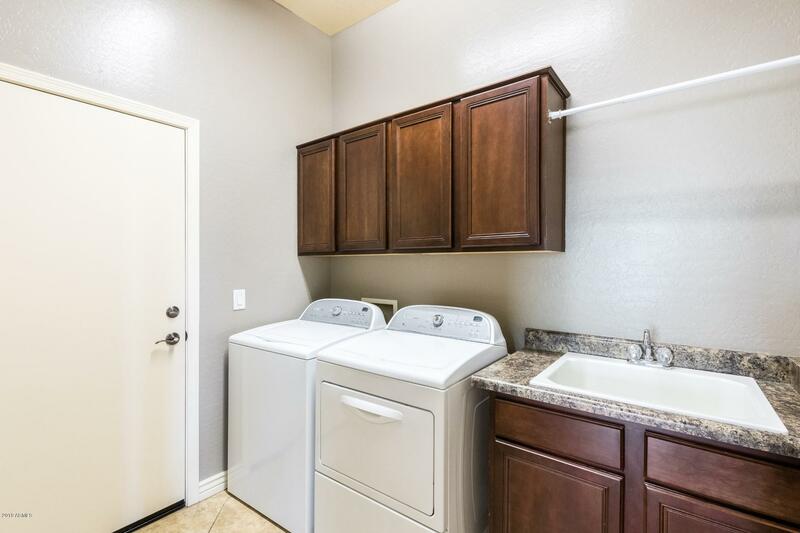 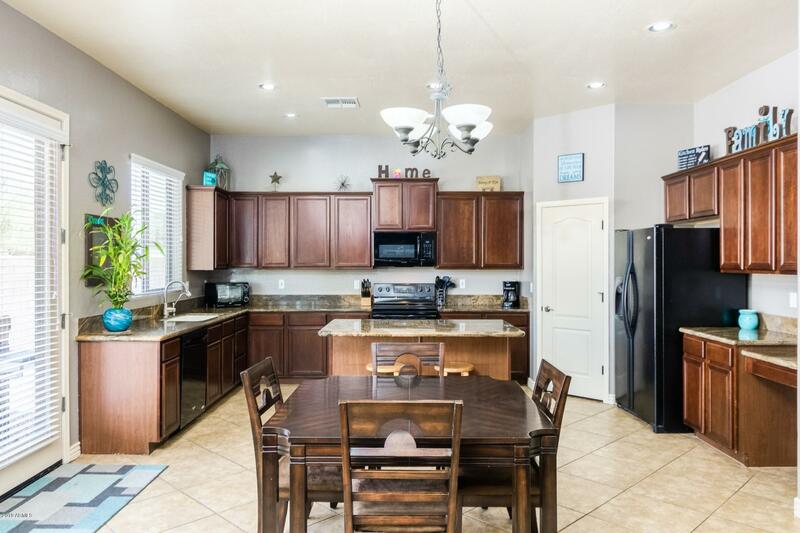 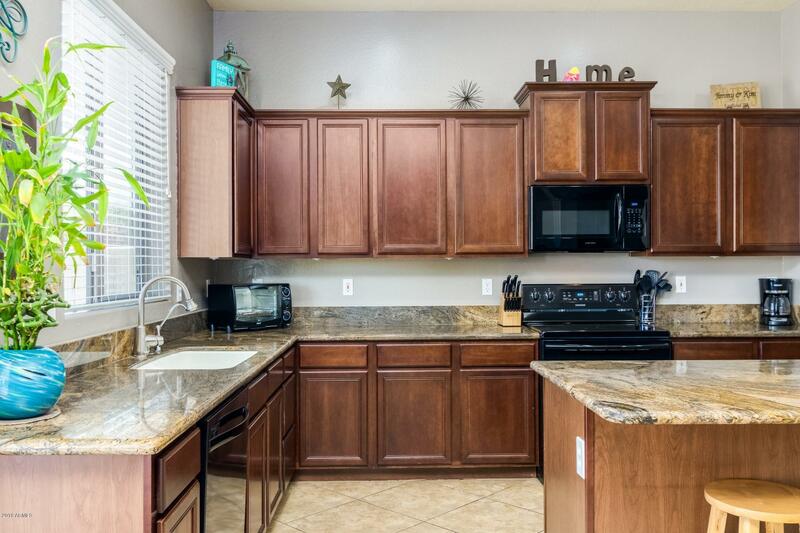 Kitchen features rich wood cabinetry, granite countertops, w/ an island/breakfast bar. 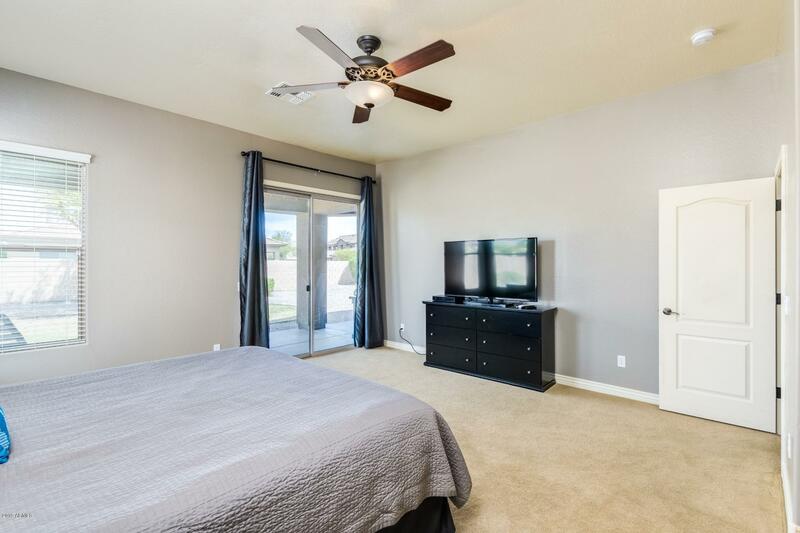 Master suite offers a double sink vanity, walk in shower, separate garden tub, large walk in closet, & instant access to the back patio! 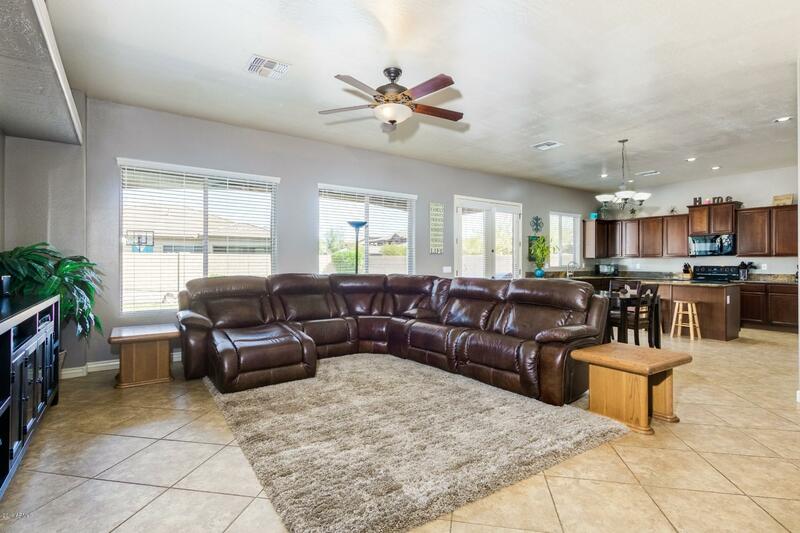 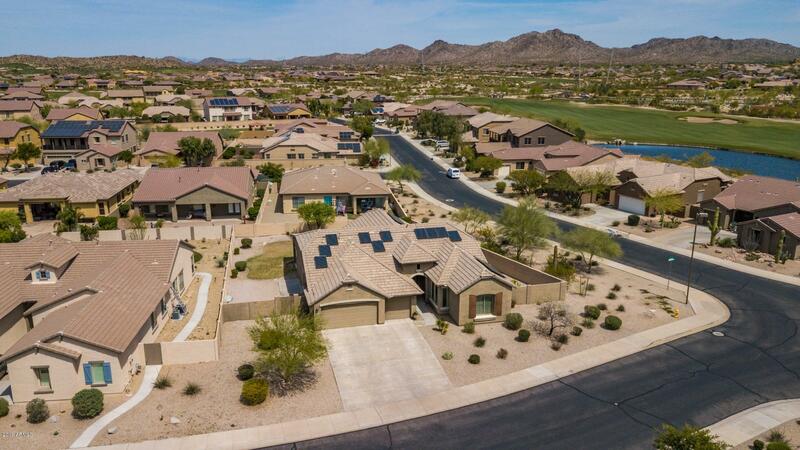 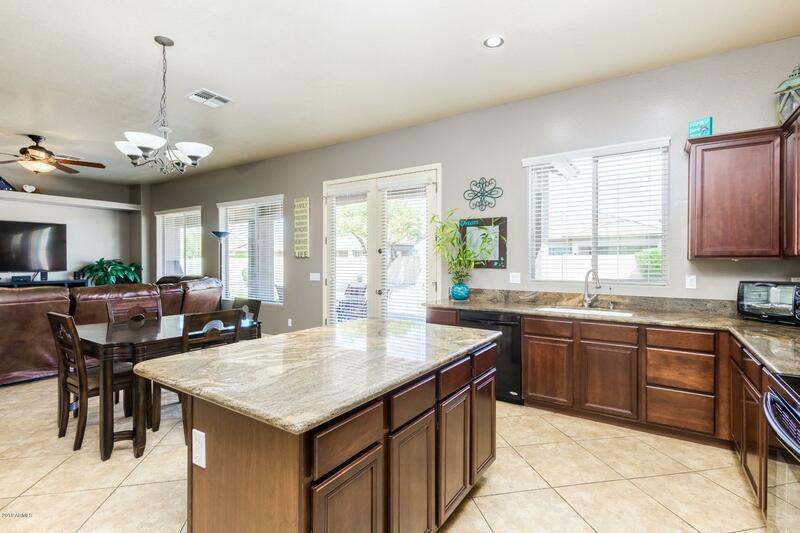 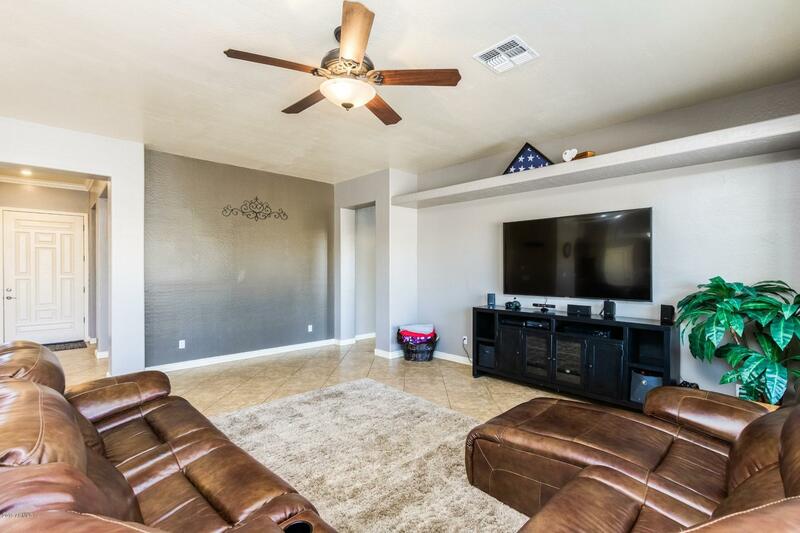 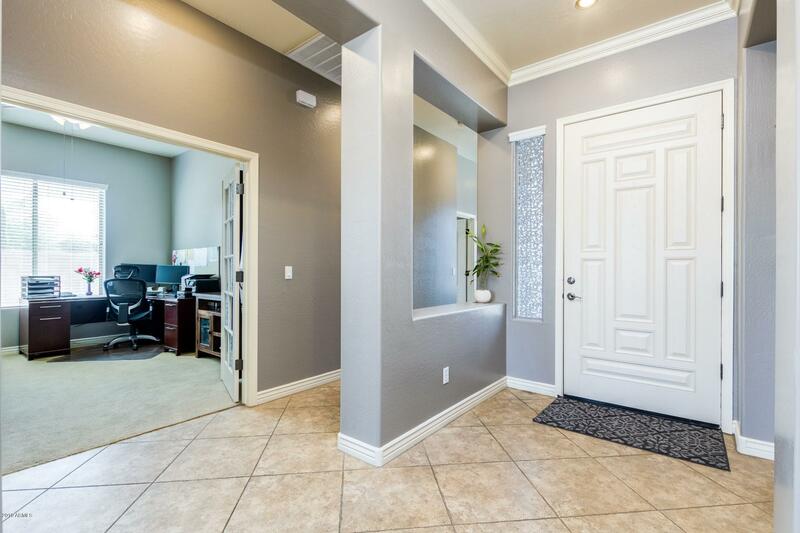 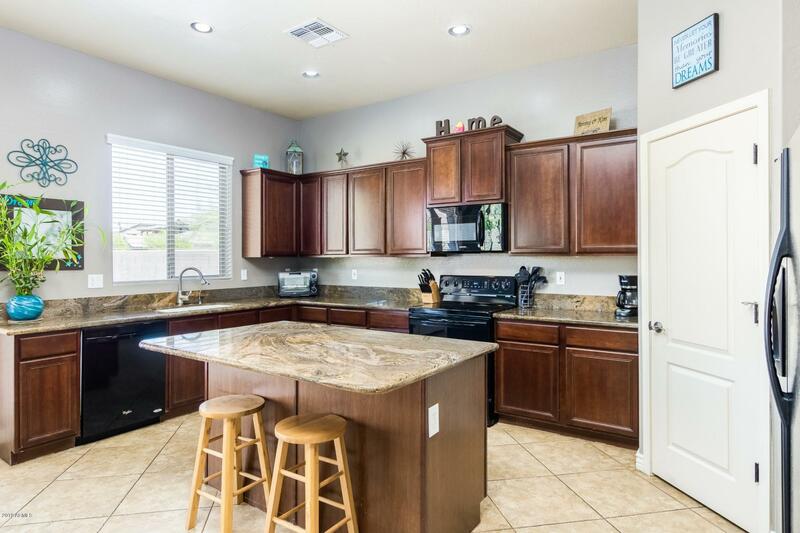 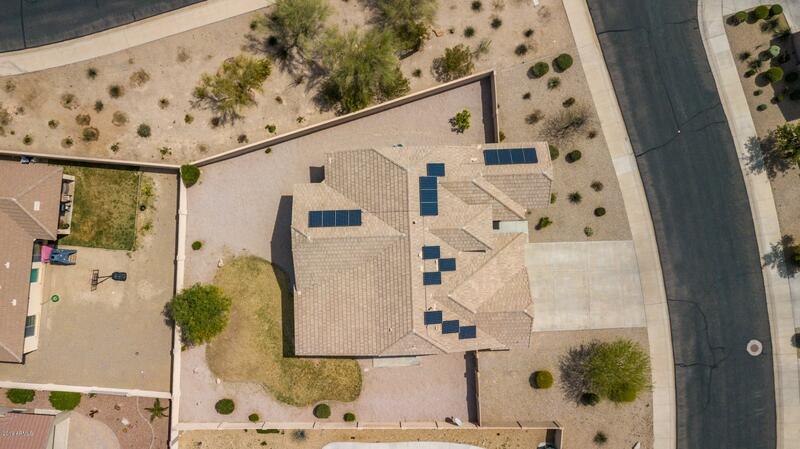 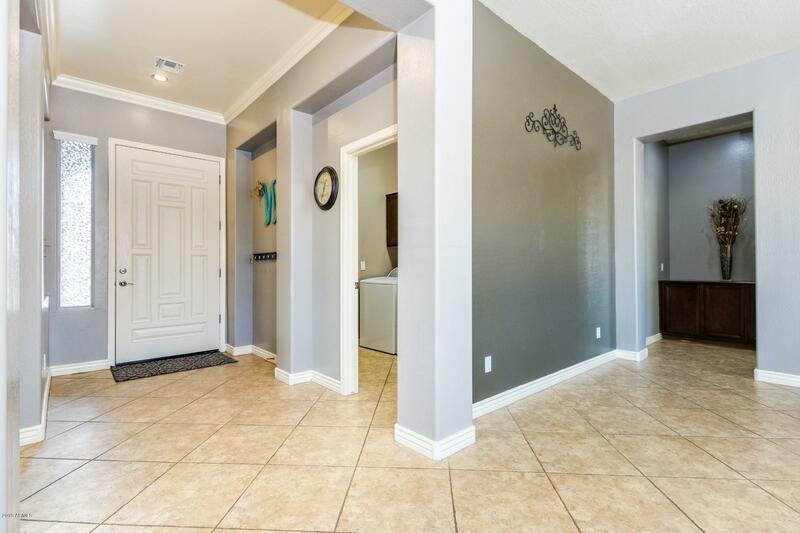 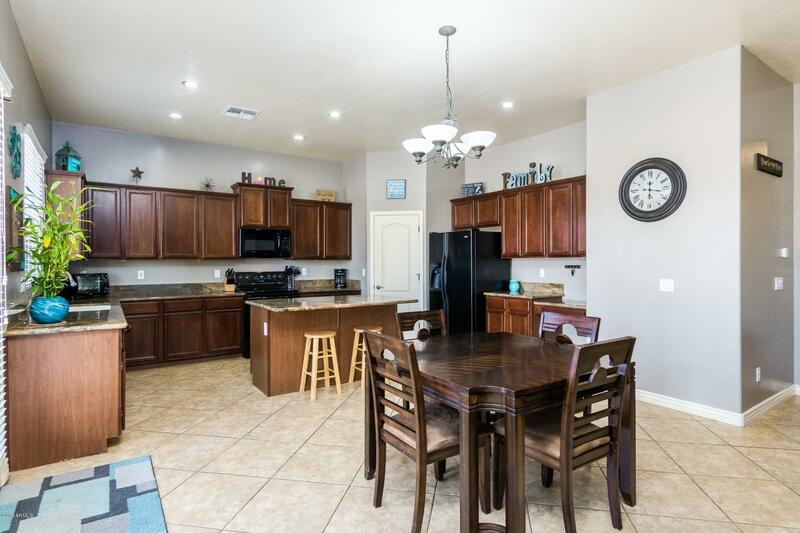 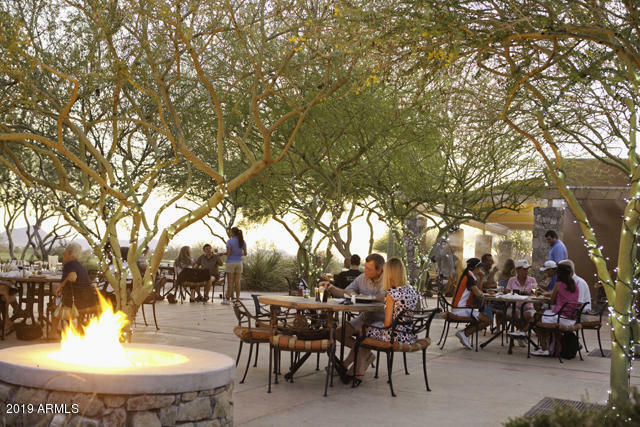 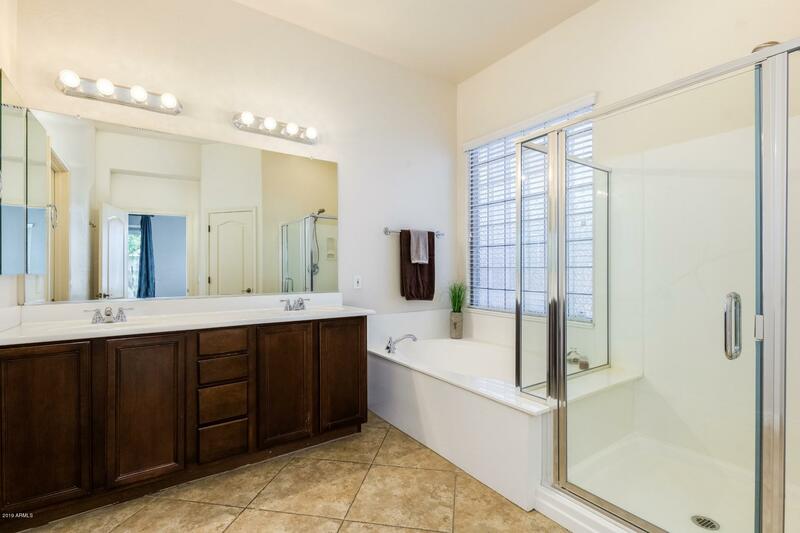 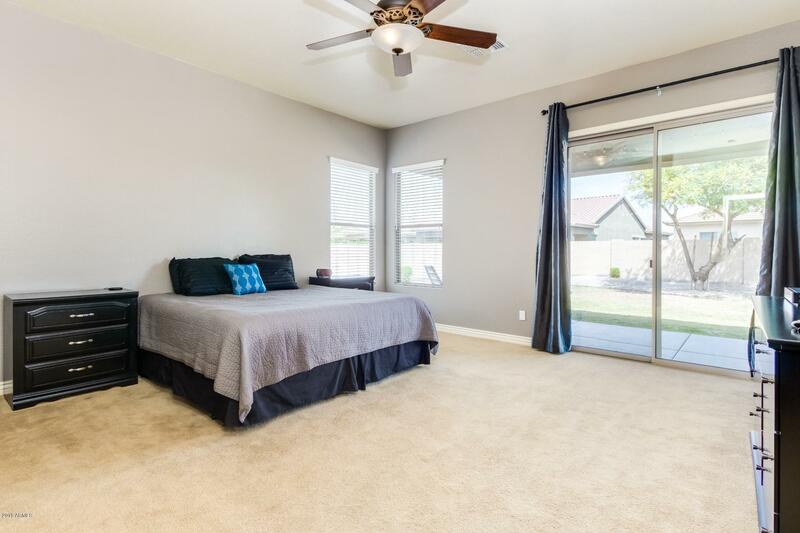 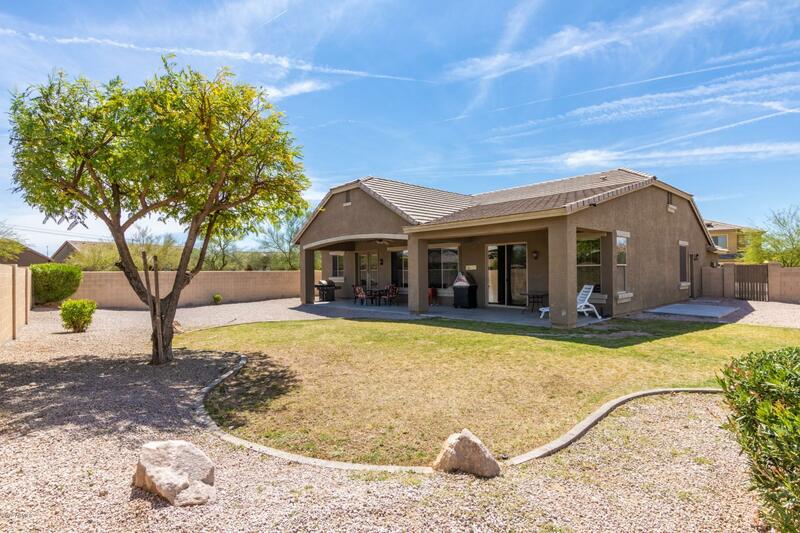 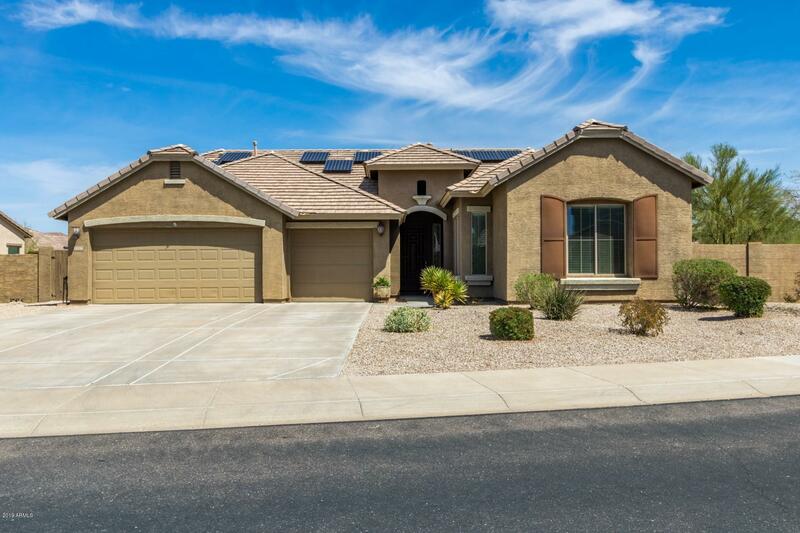 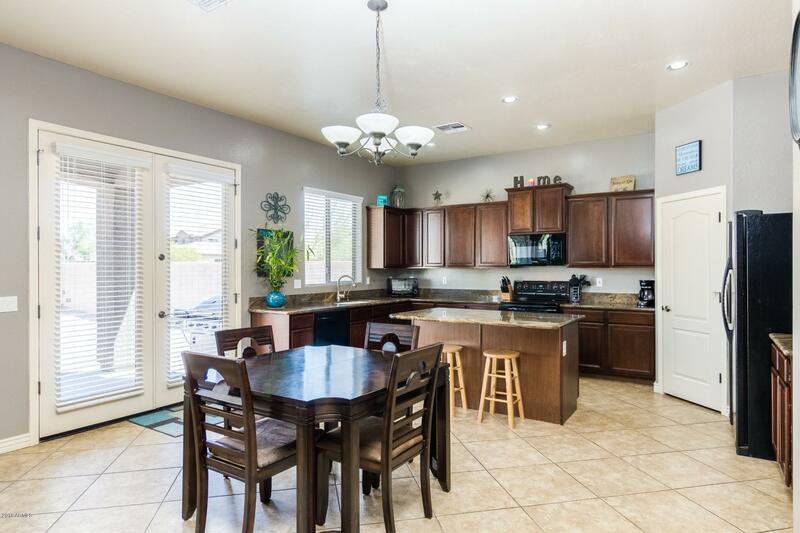 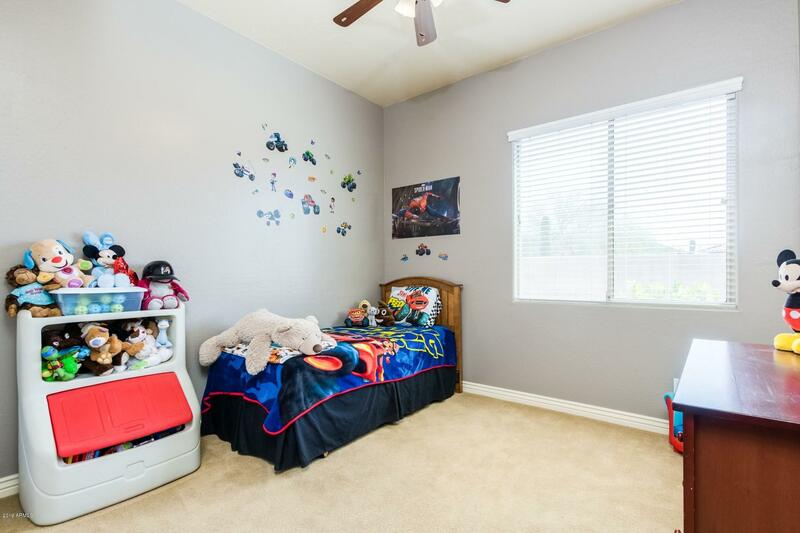 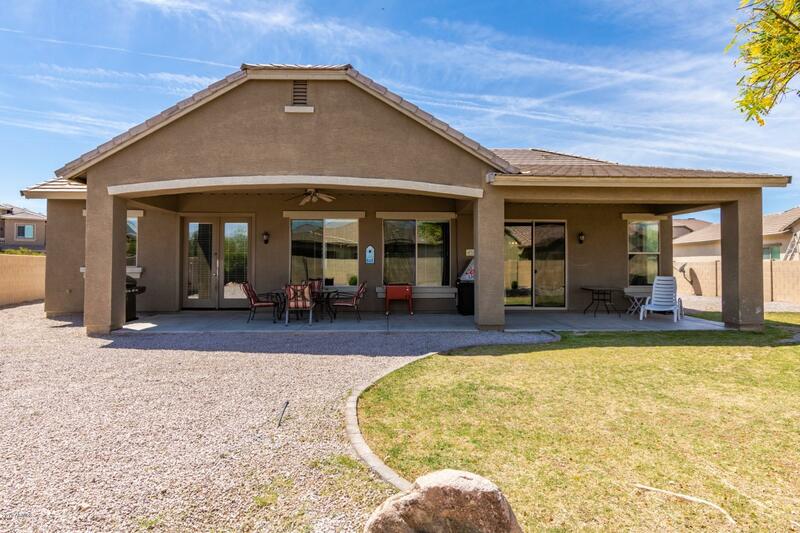 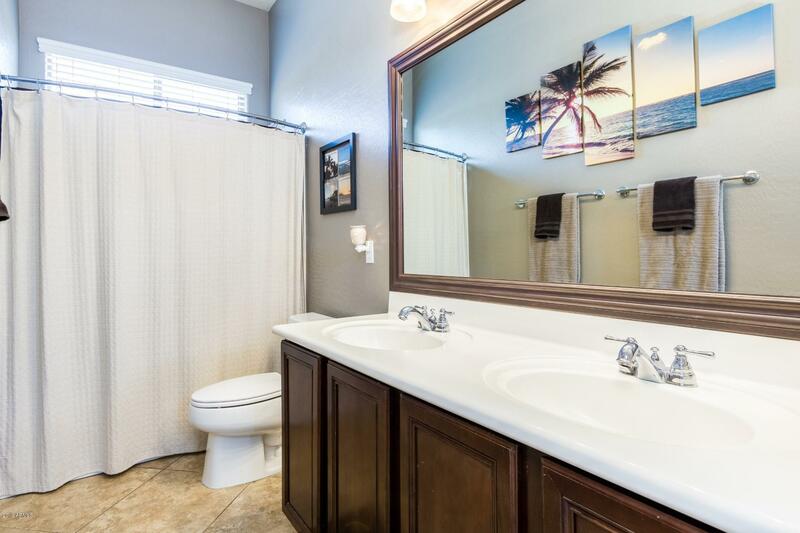 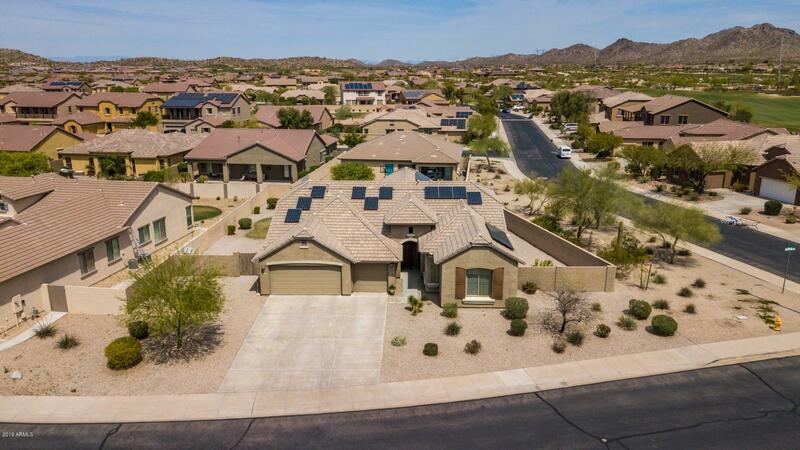 Enjoy Arizona living w/ the extended back patio & spacious south facing backyard. 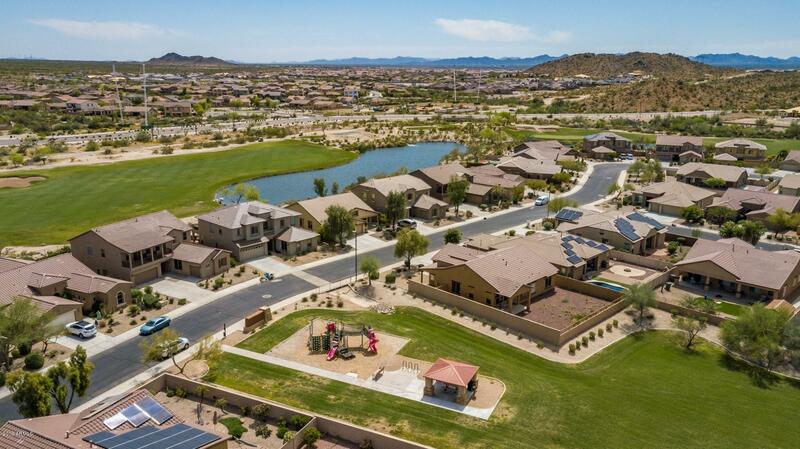 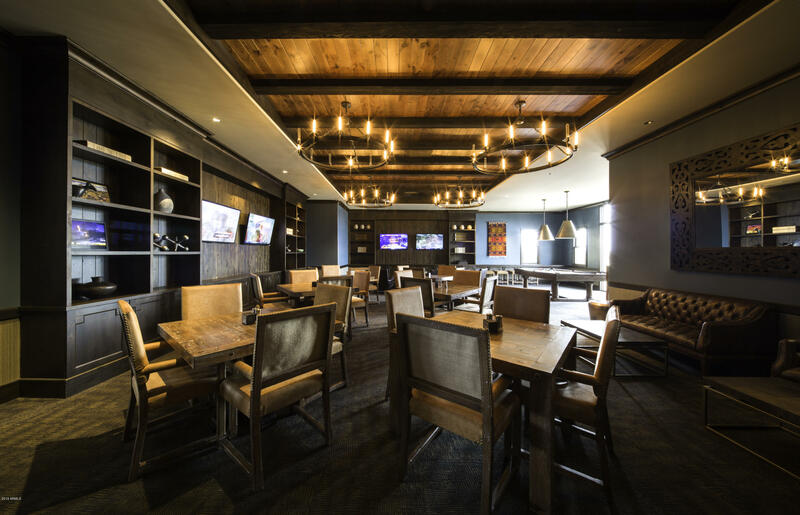 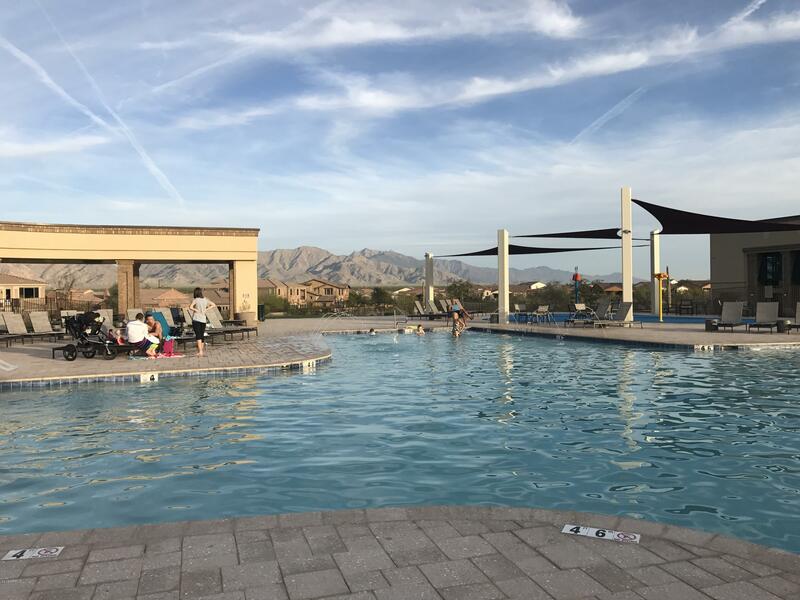 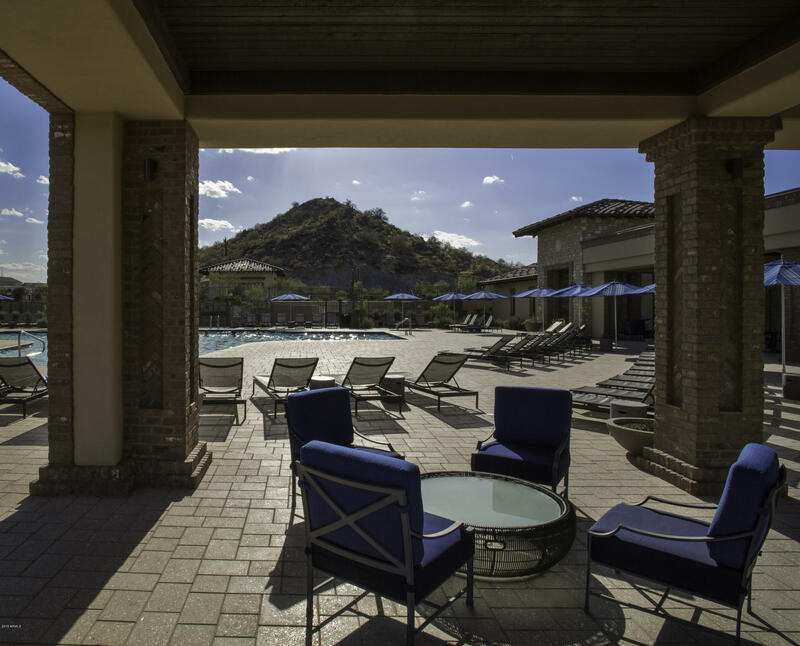 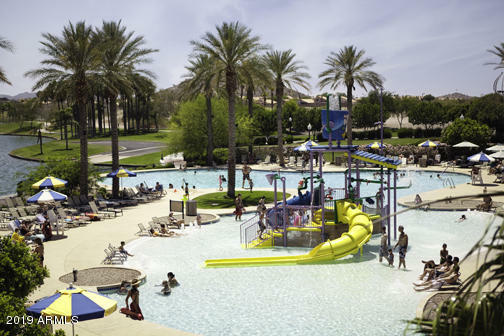 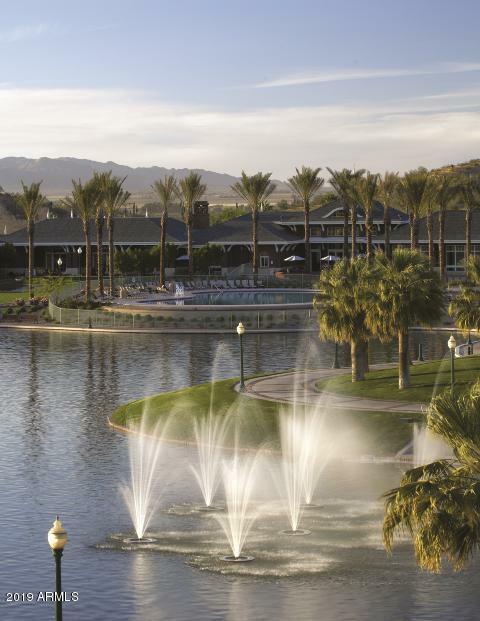 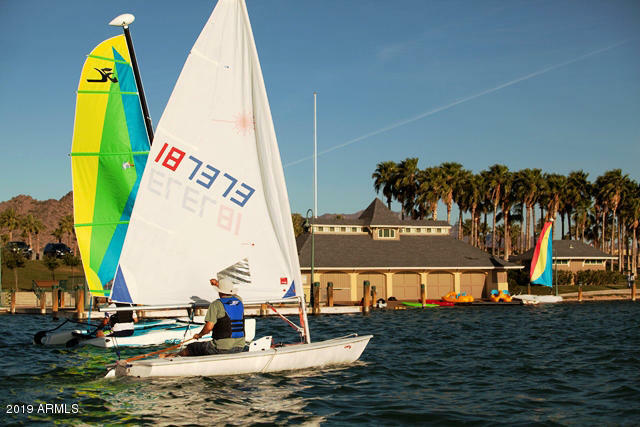 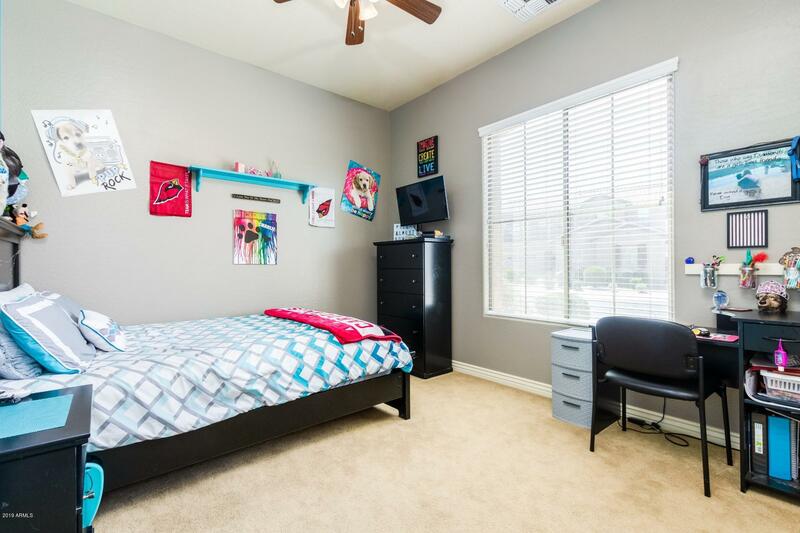 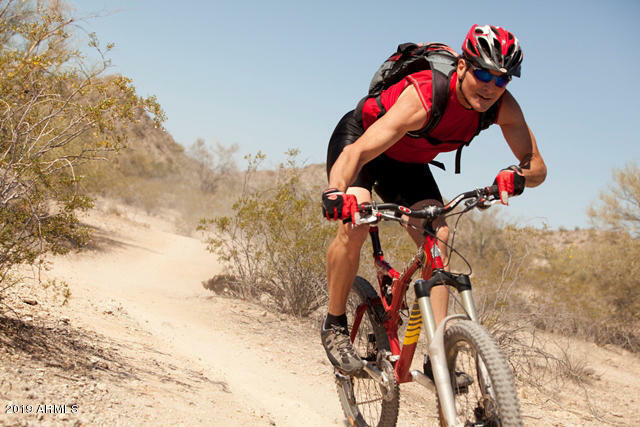 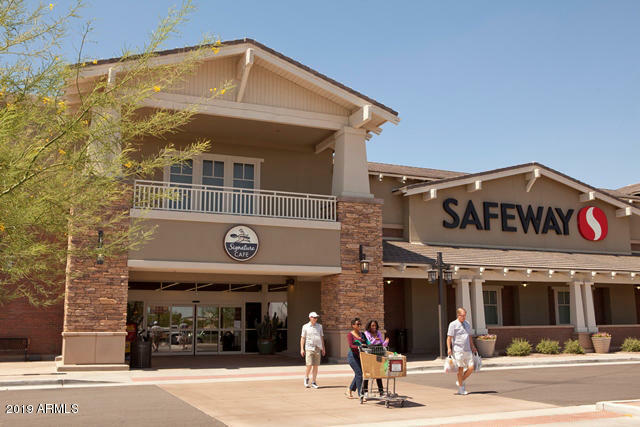 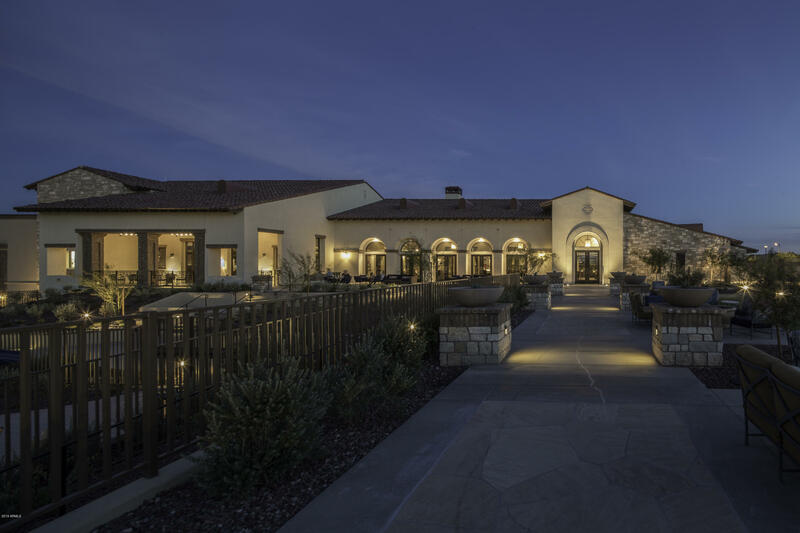 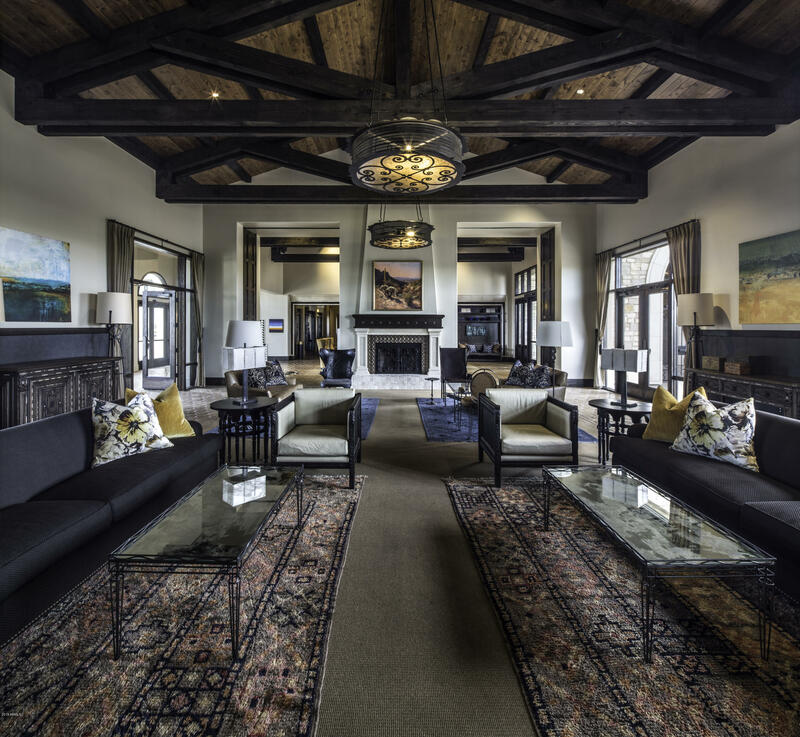 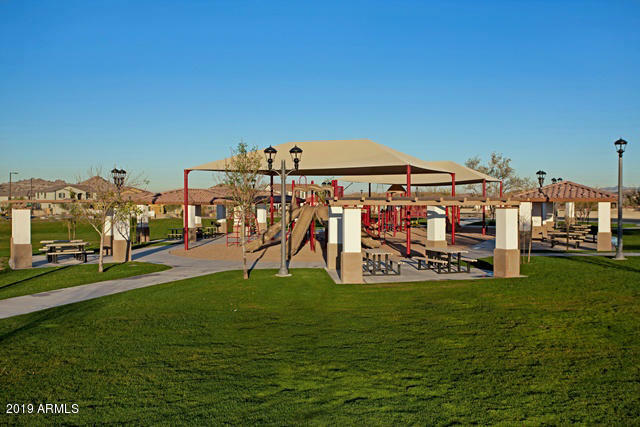 Award Winning Community feautures 2 clubhouses, heated pools, water park, splash pad, tennis & basketball courts, 2 gyms, 2 lakes, 25 miles of hiking/biking trails, and more! 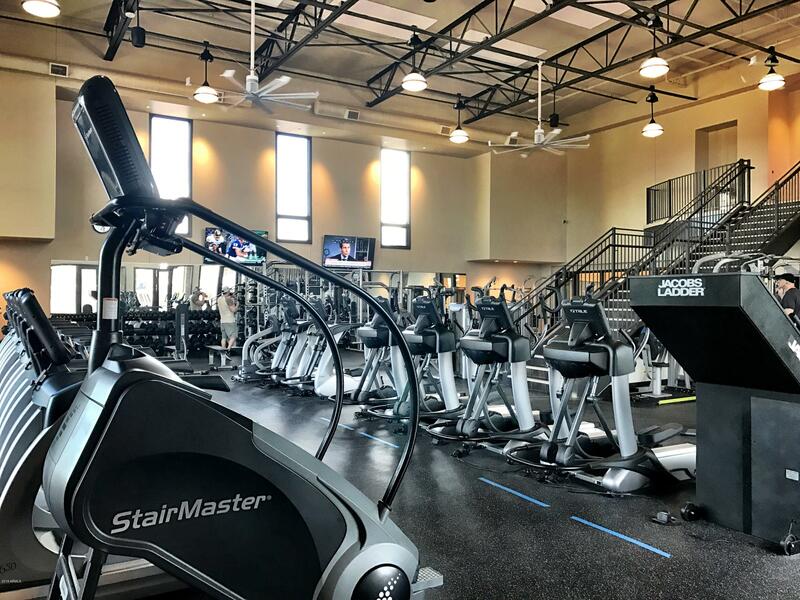 CFD is paid in full!